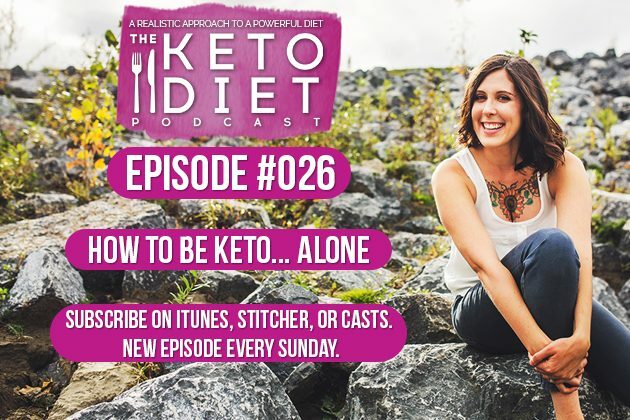 Leanne Vogel: You’re listening to episode number 26 of The Keto Diet Podcast. Today we’re chatting about juggling a household of non-keto family members, how to manage picky eaters, intermittent fasting and your family, and more. So stay tuned. 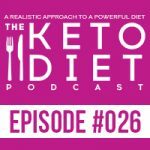 Hey, I’m Leanne from healthfulpursuit.com, and this is The Keto Diet Podcast, where we’re busting through the restrictive mentality about traditional ketogenic diets to uncover the life you crave. What’s keto? Keto is a low-carb, high fat diet, where we’re switching from a sugar-burning state to becoming fat burning machines. If you’re in need of keto recipe food prep inspiration, I’ve prepped a free seven-day keto meal plan exclusive for podcast listeners. The plan is complete with a shopping list and everything you need to chow down on keto for seven whole days. Download your free copy at healthfulpursuit.com/ketomeal. Let’s get this party started. Hey guys, I hope you’re having a wonderful Sunday. March 26th, can’t even believe it’s happening. In fact, I just realized, it’s March 26th, and it’s episode 26. I think we’re in the twilight zone. I don’t even remember what that song was for the Twilight Zone. I don’t even know if I ever watched it. I think my parents just talked about it. Anyway, the show notes and full transcript for today’s episode can be found at healthfulpursuit.com/podcast/e26, and the transcript is added to the post about three to five days following the initial air date of this episode. Let’s hear from one of our awesome partners. The show is partnered up with Paleovalley, the makers of the only 100% grass fed and finish fermented beef stick. Each stick contains one billion probiotic CFU’s. We all know how important fermented foods are to the health of our gut and the strength of our immune system, especially during cold and flu season, as well as boosting our energy throughout the winter months. Chowing down on Paleo Valley’s fermented beef sticks provides your body with all of the beneficial bacteria it loves in one convenient little beef stick. Their gut friendly sticks are gluten free, soy free, dairy free, GMO-free, freaky chemical, additive, dye, and preservative free, as well as being 100% free from carbs and sugar, and made with the highest quality ingredients. Exclusive to listeners of the show receive instant savings of 20% off Paleovalley fermented beef sticks snacks by going to paleovalley.com/keto. If your jaw is just tired thinking about beef jerky, it’s worth noting that these tasty treats are not tough at all, but moist with a little snap. The summer sausage flavor even tastes like those hickory summer sausages but without the gunk. Seriously delicious. Again that’s paleovalley.com/keto for an instant 20% off savings. We’ve got two announcements this week. The first one is that my book tour, starting in April, April 11th, 12th-ish, has been finalized, so I’ll be going to Atlanta, Houston, Austin, Chicago, San Francisco, Seattle, Vancouver BC, Calgary, Edmonton, Toronto, and there is one date that we’re still trying to figure out. I’m recording this episode a couple of days before, so hopefully we’ve figured it out. Montreal is still pending. We’ve had to remove New York from the tour schedule. We just couldn’t get things lined up unfortunately. So if you are in the New York area and you were looking forward to the event, I am so so sorry that we couldn’t get it figured out. It’s kind of out of my hands. I just put together a list of all the places I’d like to go, and we had to just pick from what was available and what bookstores wanted to coordinate things, and there’s a lot of moving parts. Know that if we are not meeting on the book tour, I’m sure we will in the future. If you can’t make it to any of the other locations, I’m going to be stopping through a bunch of places in Canada and the US during the summer signing books and just leaving them in stores. If you follow me on Instagram Healthy Pursuit, definitely watch for that in the summer. If you decide to join up on the tour, you can still RSVP for all of the locations by going to ketodietbook.com/tour. I’m especially excited for the Calgary event. It’s going to be quite epic. We’re doing a book launch and they’re going to be making a bunch of different recipes from the book. Then I’m going to be doing about an hour-long talk afterwards. This is the only location where I’ll be doing a talk, and we’re going to be airing it across all of the stores in Calgary, so if you can’t make it to the downtown Calgary location, you can always join up at the Shanook location or the northwest location and watch me like a webinar from that location. So, really cool stuff happening. The second quick announcement that I just wanted to share with you is that we’re working to create a bunch of different and new content for the podcast. It’s going to take hold in September or so. What I would love for you to do is to go to healthfulpursuit.com/survey and answer a couple of questions. It’ll take about two minutes to fill out this quick survey on what you’re struggling with so that you can help me create content that will help you. All you’ve got to do is fill out that survey, then it gets sent to me. And when you fill it out, you’ll be entered to win $100 Amazon gift card. Again, that’s healthfulpursuit.com/survey. The link will also be in the show notes. If you have an idea for a podcast episode, or you want to submit praise over and above your review, which you can leave by going to healthfulpursuit.com/review, you can reach me at info@ketodietpodcast.com. Those reviews really, really help, and they help more people find the show, and with everything that’s going on with keto right now, it’s really cool to have a woman’s voice in the whole realm, because I know when I was first starting off with keto, there weren’t a lot of women talking about it, and it was just frustrating for me to not hear about it from a woman’s perspective, and there are certain things that we struggle with that are more part of being a woman and definitely I want all the men listening to know that I definitely love sharing information for men directed for them. It’s just sometimes a girl’s gotta know what a girl’s gotta know. We’ve got a lot of good questions. Questions and suggestions on guests were submitted by members of our private Facebook group. Today’s guest, her name is Katie, and she’s a working mom of four. Two boys, two girls, ages 20, 14, four, and three. Her husband stays at home with their two little ones while Katie works her corporate job 45 minutes away from home. Katie enjoys her job as a training manager, but her real passion is nutrition and exercise. She learned to cook at a young age where she won awards demonstrating how to cook delectables such as meat loaf and apple crisp at the local state level 4H events. She’s been an avid exerciser since she was 12 years old. She’s dabbled in long distance running in the past, but mostly enjoys weight training, walking, yoga, and dance. Her dream is to some day become a nutritionist, but until then, she continues to listen to keto and paleo podcasts during her commute to and from work and reads as much as possible. After finding paleo and keto over 18 months ago, Katie has resolved 20 years of chronic heartburn and chronic fatigue with the added benefit of finally losing the last 10 pounds from her last baby and staying very healthy and medication free. If you didn’t pick up on the reference to 4H, Katie lives in the Midwestern United States, the mecca of the Standard American Diet. She’s used to being the weird one when it comes to eating with her friends and family. While her local grocery store carries a few specialty paleo and keto options, she lives over two hours from a Trader Joe’s or a Whole Foods. So she makes due with being creative, shopping farmer’s markets and orders a lot from the internet. I’m really excited to have Katie on the show. We chatted about family and how to balance family with taking care of yourself, how eating keto has helped her as a mom, and really just how to juggle life and also be a mother and a parent even. Let’s jump over to this awesome interview. Hey, Katie, how’s it going? Katie Williams: Good, how are you, Leanne? Leanne Vogel: I’m so good. I’m thrilled to have you on the podcast. As everyone knows, I love these keto experience things, because it’s so rare that we get to listen to podcasts with regular people, you know? I’m really happy to have you on the show, and why don’t you start off by telling us a little bit about yourself and your life and what’s going on? Katie Williams: Okay. My name’s Katie Williams, and I live in the Midwest United States. I grew up here with the exception of being an exchange student in college, and my parents lived in Montana for a couple of years while I was in college. But for the most part, I have lived in this area, born and bred. The city I’m from is called Peoria, Illinois, and I did not grow up on a farm, but in a smaller town. I was involved in 4H, and that’s where I started with my interest in food and cooking. I did food demonstrations and actually won for the state. I think I was maybe 12 years old. I made a meatloaf. So I won some money, and that’s where I learned to cook. My mom was always a big cook, and we had a lot of homemade meals and all of that. Then when I was 22, I had my oldest son, and when I was pregnant with him, I developed horrible heartburn, and that was really, up until then, I’d had no health issues, very active, started working out when I was 12 years old, and pretty much could eat whatever I wanted. I was very skinny. When I was pregnant with him, I started having some health issues. It started with the heartburn. I could not drink water without getting heartburn. I ate Tums, the maximum amount of Tums as I could. This is back in 1996. I wasn’t interested in really getting on a medication, but maybe I should’ve. Don’t know. Since I had him, I developed, after I had him, I continued to have chronic heartburn. After I gave birth to him and was still having problems, I did start taking over-the-counter antacids, which did help. However, I took them for 20 years, non-stop, except for when I was pregnant with my other three children. I now have a 20-year-old. Then I have a 14-year-old. Then an almost five-year-old and a three-year-old. With the exception of during those pregnancies, I took over-the-counter medication for heartburn. Then probably two years ago or so, I started learning more about paleo and I’ve always been a hippy at heart and not really interested in a lot of medication, and I’ve evolved really since then and really focusing on some possible food sensitivities and trying to figure that out. It helped. I stopped taking over-the-counter antacids in October of 2015, and I’m proud to say I’ve not taken any since then. It was a process, though, to get to that point, and have since realized I have a sensitivity to gluten and possibly dairy. I’m kind of figuring that one out right now. But about probably seven months ago, I started hearing about keto. One other issue that I’d had, which I didn’t really try to figure out, was I have hypoglycemia, and I had it since I was little, but I didn’t have it a lot. It really only happened on the weekends. I’m not sure about that. Katie Williams: Yeah. It was weird, but I never knew what it was until a couple years ago. I just knew I didn’t feel very well if I ate a really high carbohydrate breakfast, and I’d get really sluggish and just didn’t feel well. I married a Type 1 diabetic six years ago. One time I was just feeling not so great after I’d had some carbs in the morning, and I took my blood sugar because he has a monitor here, and my blood sugar was like 60 or something. I started testing my blood sugar more and realized that I had this, it’s called a reactive hypoglycemia. When I started hearing about keto, I first reacted because I was very familiar with ketoacidosis being married to a Type 1 diabetic and I was like oh, no, not doing that. That’s bad. I don’t want to be in the hospital. Then I learned more about what keto is, and that it’s not ketoacidosis, and I have been focusing on keto since probably April or May, and I heard about you pretty quickly after I started hearing about keto, learning about it from Jimmy Moore. I started listening to your podcast, Leanne, and Jimmy Moore’s. I’m kind of a podcast addict. I think I subscribe to 75 podcasts. Leanne Vogel: Oh my gosh. That’s amazing. Katie Williams: I listen to them constantly. Yes. I love them. Really started focusing on that hypoglycemia because along with the hypoglycemia, I have been struggling with anxiety and panic attacks and some memory issues, I guess. That’s kind of been my focus for the last six months is trying to find my right balance with keto. I definitely feel a lot better eating keto and higher fat, and just trying to stay consistent and continue to work on it because being married to a diabetic, but also living in a place that we don’t have a ton of … We don’t have Whole Foods. My nearest Whole Foods is two and a half hours away, and Trader Joe’s is two and a half hours away. I have to order a lot on Amazon. Just being in this environment, I am tempted all the time. I know everybody’s tempted all the time. I’ve really had some challenges trying to eat this way consistently. Leanne Vogel: What sort of challenges have you had? You talked a little bit about grocery accessibility. How many of your children are still living at home? Because I’m sure that’s a challenge, too, depending on how they eat. Katie Williams: My oldest lives on his own, and then my other three live at home. They’re all very different ages. My 14-year-old, my approach with all of them has been to not force it down their throats. My husband, especially because he became a Type 1 diabetic actually six years ago. The man is the last person on earth who should be a Type 1 diabetic. He loves carbs, loves donuts, cake, everything, bad carbs. It’s been a real challenge with him because he has had to completely change. He’s supposed to eat better, I guess, I should say, but he really struggles with that because his whole life basically got turned upside down when he became Type 1 diabetic. He struggles with his A1C. He likes to eat carbs. So I’m trying to live by example and really cook in a way that he knows he can add what he wants, if he wants to add a dinner roll or have a bowl of cereal. I’m not going to say anything to him necessarily. I want him to see and hear about what has worked for me and to hopefully help him along. He also likes meat and fat, so that helps, except he’s also eating carbs, which is not good. I try to vocalize with him, hey, I woke up this morning, and I feel great, and my blood sugar is 70, and I haven’t had any carbs, and with my energy level, too, I was really struggling with energy a couple years ago and having really bad fatigue. I’ll say I just feel so good today, and I’m going to clean the house, and I’m going to do these things, just so he sees what my approach is and hopefully will ask me questions. Leanne Vogel: Yeah, you kind of follow in your path. I totally understand what you’re saying. It’s like when I started meditating and doing yoga and stuff instead of pushing people and being like oh babe, you got to try this, you got to do it, I just started looking calmer and dealing with situations a little bit better. Kevin was like, “Wait a minute. What are you doing? Tell me more.” That’s how you get people hooked without going crazy. Because could you imagine if you’re pushing this down peoples’ throats and they’re getting frustrated with you, that doesn’t improve your living situation. That makes things worse. I think that’s that an amazing way of going about it, of just I’m going to do me, and when I start to function a little bit differently, and when I’m in a better mood, people will ask me, what are you doing, what’s your secret, and then you can tell them, kind of open up the door for you. That’s really good. How do you balance cooking for the family? All the different meals, how do you do that? What’s your strategy? Katie Williams: I meal prep a lot on the weekends for myself. I work about 45 minutes away from where I live, and my husband stays at home with the kids. I have really been focusing on meal prepping on the weekends. While I meal prep, I’ll make big batches of food that the family will also eat. I’ll make something in the slow cooker, a meat, mostly a meat, a couple meat dishes, and then I will prepare the additional food on the side. Mostly I buy bagged salads. There’s a kale salad that I like that I buy. I buy a couple bags of those because I do all the work basically on the weekends because during the week with my commute, the last thing I want to do is cook when I get home. I do large batch cooking on the weekends, and then also feed my family from that food. I take my kids to the grocery store with me as well. The little ones are a lot easier to talk to about it than my 14-year-old. The little ones are … We’ve been focusing on what they’re eating and they’re not the best eaters, to be honest. They’re pretty picky, but I make a huge big deal when they do eat something that is healthy for them and really talk to them about oh these chips that we have, let’s maybe eat some cheese or maybe eat some bacon. They love bacon and cheese. They love eggs and fruit. I just try to get them involved in the process. I’ve bought a couple of cookbooks that were more focused on little kids because they’re age almost five and three, so they’re pretty little, but they do really like to help. I’ll try to make different, easy dishes, and I bought a book, Eat Like a Dinosaur to try to get them excited. Sometimes they’re excited. Sometimes they’re not. My older two, my oldest is actually probably the best eater of the four. When he was little, he really got into helping me cook, and he’d pretty much eat whatever I put in front of him. But with two little ones, I found even if they help me make something, they won’t always try it, which is frustrating. That was always my strategy before, and it doesn’t work great all the time. I can’t give up. I don’t want to give up, and I’m hoping that eventually, they’ll realize that they feel better when they eat better. It’s similar to my approach with my husband. I just try to be an example and try to talk to them about it and try to get them involved. Leanne Vogel: Yeah, the education piece is so important. I know that my mom, every time we made something or made our lunches, she was always explaining, with the information she had at the time. Fat was bad, back then. She was like you know, margarine is better because blah, blah, blah. That really ingrained, maybe not the right things in my brain, but I understood what I was eating and what it did to my body. That was really cool for my mom to do that. That’s really interesting that you’re doing that as well. Also, the batch cooking, too, is so important. I know for me, it’s the meat. I find the meat the most challenging piece because it takes forever to cook. Like you said, those side items like salad and stuff, that can be whipped up really quickly. But throwing a big roast in the slow cooker and having it cook and freezing it in portions, that goes a long way to your week. That’s really really awesome. You mentioned a little bit about picky eaters and just encouraging them with different types of foods and having foods in the house. I wanted to point to that, too. Would you say that you encourage your children to eat more keto? Do you have more keto foods in the house than you do carb-y foods? I know we had a lot of moms ask, I eat keto, and my kids seem to be interested in fat. Are other moms nervous about giving your kids too much fat? Are you nervous about that? Katie Williams: No, because they could probably eat more fat because there’s still a good amount of carbs in the house. With them being home most of the time, and I’m at work, I don’t have a ton of control over what they’re eating here. I feel like at this point, if I’m focusing on fat at dinner, that’s probably going to balance out what they ate during the week. It’s one of my goals this year. I really, really want to get them more interested in eating better because I know what carbs can do to the body, and they’re growing, and they need the fat for their brains. I really want to make a difference there this year. A lot of times at dinner, we’ll have bacon, eggs, and cheese, and possibly some nut butters. It’s not real exciting food that we’re focusing on, but hopefully enough fat to balance out the other stuff they’re eating. Leanne Vogel: Yeah, kind of offset. I do the same thing with my husband. I know that when he goes out with his buddies, he’s drinking beer and having burgers with fries and all the things, but when he’s at home, I make the food, and usually I just make him what I have, but he always says, I need carbs with this, I need carbs with this, so I cook a little sweet potato. I found these little mini sweet potatoes that are the size of your palm, and then he gets a little bit of carbs, but it’s not the momentous piece. That’s all you can do. You can’t really control what they’re going to do outside the home without making them go crazy. Leanne Vogel: You can influence or encourage them to eat certain things when you’re in the house. I think we can get so overwhelmed. I speak with some women who are like this kid likes this thing, and this kid likes this thing, and my husband eats this way, and I eat that way. How do I make it all work? I really like your tip on food prepping. Really it comes down to protein. Usually, the whole family will eat the same type of protein, and it’s just about adding extra things on there, would you say? Katie Williams: Yes, definitely. That’s exactly what I do. I focus on the protein on the weekends, and then add a couple of sides. Everybody gets that because everybody likes it. Then if my husband wants a roll, extra carbs, then that’s kind of up to him. He’ll break out the Little Debbie box every once in a while, and I kind of give him a look. I try not to be too overbearing about it because he’ll just react to that, and he’s an adult. He can make his decisions. Hopefully, I’m kind of getting through a little bit. Leanne Vogel: Yeah, baby steps. More on my interview with Katie Williams after this message from one of our podcast partners. I’ve always loved protein powder for its ease of use, but could never find one that made me feel good from the inside out until I found collagen. Not only is collagen a fabulous protein powder alternative, it actually helps strengthen bones and cartilage, improves resistance, elasticity, and mobility of joints and connective tissues, regardless of one’s age, and supports muscle rebuilding after an intense workout. There are a lot of collagen brands out there, but none as committed to quality and variety like Vital Proteins. Vital Proteins collagen peptides are sourced from grass fed, pasture raised bovine hides, to ensure a natural high quality and sustainable source of this ancient nutrient. Collagen is the most abundant protein in the body, ensuring the health and vitality of our skin, hair, tendon, cartilage, bone, and joints. Get the nourishment your body deserves and shop for your favorite Vital Proteins products here. Leanne Vogel: How do you manage outside of the home? Do you have friends or family members outside of the home that totally judge you for your eating choices? Katie Williams: Yeah. It’s kind of across the board. Friends, at work, most of the time I bring my lunch. For example, today I have lunch plans with a friend at work, and most of the time, when we’re talking about where we’re going to go, I will make the suggestions. For example, today I was chatting with my friend about where we were going to go. I had suggested a burger place, and she’s like well that’s fine. I will look at the menu ahead of time. The cool thing with keto to me, is you can find anything anywhere. I’m thinking okay, I’ll get a cheeseburger with lettuce instead of a bun. I can’t get the fries. I’ve been somewhat vocal with my friends, not real vocal about it. They’ll make comments. Oh you’re having a salad, or oh you’ve got a burger without a bun. I’ve found that they feel guilty a little bit and I have one friend, especially that when we go out for lunch, I am very tempted to not eat healthy. We’ll go to Jimmy John’s, and she’ll get chips and pop and a sandwich with bread, and I’ve tried a couple times to stick with my way of eating, but I’ve just found when we go there, I just want to splurge, so I suggested we go somewhere else, like Panera, that I’m not going to be as tempted. I do have part of my family that they will give me a hard time. They’ll give me a hard time about the gluten free thing, and sometimes I just laugh it off, but there’s been a couple times that I’ve said well when I feel good, and I’m not fat, and then I guess we’ll see. I can laugh it off, but it also is kind of upsetting honestly because it surprises me that people think that processed food is actually better or that I’m the weird one, but I guess I can understand since not a lot of other people eat this way. They’ve seen me try different things. I think for me, too, it’s really important that I stick with it when I’m with them. Otherwise, it becomes even more of a reason for them to give me a hard time. If I say oh I’m not eating as many carbohydrates, and then the next time they see me, I’m partaking in a big pizza, they’re like yeah, Katie’s really serious about this. I have definitely not been perfect, but I’ve really tried, especially as the last six months have gone along, to just continue to work on it and just continue to really stick with this way of eating so that I’m being consistent with how I feel about how others are eating that I’m a good example. I can only be a good example if I’m eating the way I need to eat when I’m with my friends and family. Leanne Vogel: Yeah, you bring up so many good points. I know that with my sister, I find that when we’re together, we really like eating junk food. That’s how we grew up. It’s very easy for us to get into that pattern, and both of us know that carbs don’t make us feel good. What we’ve decided is we just don’t have activities that surround food. Instead of going out for dinner, we’ll go to a ceramic class or last week, we did a painting class. We’re always trying to come up with different ways to spend time together but that it doesn’t always have to be around food. There are those people, I totally get what you’re saying, or those places when you go, like when her and I go to any place that has candy, any place. It doesn’t even matter. We’re loading up the candies before we even know what’s happening. It’s just like when you’re with that person, in that environment, it’s just so easy to get back into those patterns. To know that those patterns don’t make you feel good and that you don’t actually want to engage in those until … Not to say in three or four, five years, you’ll probably be able to go to that place with that person and be like no, I just don’t feel like that, but when it’s so fresh, sometimes it’s just like quitting smoking. You can’t be around a bunch of smokers because you’ll want one. You’ll see them doing it. Even years, it’s probably been … Well it’s been nine years since I quit smoking and still when I see somebody smoking just sometimes, I’m like oh that looks really good right now. It takes time. Leanne Vogel: I know when I was first getting going with keto, and there were a lot of people judging me, I would hide what I was eating in order to avoid judgment. Have you done that? Katie Williams: Maybe a little bit. What I’ve done more of is when we have a get together, especially with my family, I will bring dishes that are more keto, and I don’t announce to them that oh this is keto because then they’ll look at me and not want to try it. I did this especially at Thanksgiving, where I brought a bunch of dishes that were gluten free. I made a gluten free stuffing, but I just said this is the stuffing, and everybody ate it. Nobody said anything. It was good. With the hiding, I don’t know if I hide it, but at work a lot of times, I will need to heat up my food, so I’ll bring a couple fried eggs and some bacon and some avocado and I’ll go and heat it up in the microwave. I’ll get some looks sometimes or people will be like hey, you really like bacon, what’s up with that? Aren’t you afraid you’re going to get a heart attack? I just kind of like, no, I eat a higher fat, low carb diet, and they’re like oh, okay. Sometimes, I’ll feel like I don’t want to, if I’m not really in the mood to have the conversation with somebody, I’ll go and heat it up when nobody’s around. Most of the time, people aren’t really paying attention to what I’m eating. They’re caring more about themselves. That’s one thing I’ve thought about, too, is I want to have a better elevator speech about it, so when people do ask me I don’t get embarrassed or feel put on the spot. It’s enough to maybe spark an interest in people because I’ve not really ever had anybody hey say hey, can you tell me more about that, it’s oh okay. Good for you. Leanne Vogel: Good for you, yeah. Totally. I have a very meticulously perfected elevator speech, but I need to change a little bit because I always say I’m a nutrition educator. Yesterday I got into a three-hour conversation at the camera store about nutrition and diet. Leanne Vogel: I was like what did I do, I have so many things to do, you know? Leanne Vogel: It’s so cool when you can see that light bulb, for example, the gentleman that I was speaking to had a diabetic wife, and when I said ketosis, he was like blah, just like you, like no, no, no. When I explained it, he was like oh wow, that’s really interesting, tell me more. When you see that light bulb switch off in people’s heads, being so passionate about this, and yeah, it was a long conversation about nutrition, but a lot of people were listening, and that can be really cool to just get people engaged and get them thinking about the food that they’re eating and what that impact has on their body. That changes the game for so so many people. That elevator pitch is really nice to have, and also, not caring what other people think. I think that was a big thing for me the first time I went out for dinner with my family. It was breakfast, and all they had on the menu was bacon that I could eat, so I asked for six orders of bacon because it was two strips each and a thing of mayo, and I was dipping the bacon in the mayo. My family was like oh my gosh, I’m really concerned, blah, blah, blah. I knew that that was going to be an issue, so I just came up with three different studies that I had read and things that I was going to say. I just said you know, here’s what I have to say to you, and if you’re not okay with it, that’s great, but I’d like you to keep your comments to yourself because I’m doing this for my health. It really depends on the type of people that you’re talking with because sometimes, you’re right, they care more about themselves than they do about you. They’re like why is that girl eating so much bacon, okay, that’s cool. That’s my life. Katie Williams: I really struggle with eating out in restaurants, just in general. Katie Williams: I grew up where my mom cooked all the time. We lived further out from town. We actually didn’t have any place that delivered or anything to us. Our big treat for the week was going out to lunch after church, and I viewed going out to dinner or lunch as a treat, therefore I feel that I need to treat myself. That’s something that I’ve really tried to work on, and I’m, again, not perfect at it, at all, especially when I’m with my husband. We don’t get a lot of time to ourselves, so when we do go out to dinner by ourselves, I want to get a beverage, alcoholic beverage, which, then I don’t feel well. I’ve really tried to focus on remembering how crappy I feel when I eat a bunch of tortilla chips or I drink a big margarita or whatever. That has seemed to help. Sometimes I still will forget or conveniently forget that it’s going to make me feel nasty. Slowly, but surely, getting that way. One thing you said, too, that kind of triggered a thought about the hiding. We’ll go out for dinner, especially more with my husband’s family, and I won’t, if someone’s asking where we want to go, a lot of times I’ll just say wherever, it’s usually someone’s birthday, wherever that person wants to go. I can find something is what I’m thinking, but sometimes I will … I don’t like shouting my order across the table necessarily, so I’ll have the waiter come over closer to where I am, just to talk through the special needs that I might have for whatever I’m ordering. It just doesn’t introduce the opportunity for someone to start picking on me a little bit about what I’m eating. Leanne Vogel: That’s brilliant. I hate yelling my order across the table. Leanne Vogel: I can’t even. The waiter will be on the opposite side of the table, and I’ll just pretend that I don’t know he’s waiting for me to say something until he comes over just because yeah, it’s such a personal thing. I totally agree. To your point to after church, going out, and that connection of it just being a natural thing to go out and eat, or when you get a burger, you have to get fries, right? And it’s just changing that pattern. You really, really have to be patient with yourself. It takes time. It’s just like learning how to dance. You don’t just all of a sudden rock out like a pro. You’ve got to take it slow and learn every step, and there are going to be fumbles along the way. It’s so true. More on my interview with Katie Williams after the message from one of our podcast partners. Instant Pot, my personal favorite pressure cooker, is a partner of the podcast. With Instant Pot, you can make meals in minutes, truly. I was someone who was intimidated by pressure cookers, but I’m so happy I gave Instant Pot a try. It makes rich bone broths, hardy stews, and epic dishes, just like your slow cooker does, but a lot quicker. I have the Instant Pot IP duo 60, which pressure cooks, slow cooks, cooks rice, sautes, makes yogurt, steams, and warms up food, all in one. As an exclusive for Keto Diet Podcast listeners only, Instant Pot is offering everyone $10 any Instant Pot of their choice. Simply go to instantpot.com, find the unit that best suits you, and use the coupon code HEALTHFUL, that’s all in caps, no spaces, for your $10 discount. Leanne Vogel: How do you deal with fasting? Do you fast? Do you intermittent fast? How do you handle that with your children? Do they ask you questions about mommy, why aren’t you eating? Katie Williams: Yeah, I do actually. I have noticed that for whatever reason, I don’t know, just my body, my body just loves the fat, and I’m not nearly as hungry. I will fast quite often on the weekends, and I’m just not hungry, and I feel really good. I’m not currently checking my ketones. I’ve been looking into a ketone meter, but the prices of the strips are prohibitive to me. But the checking more my blood sugar and just knowing what the signs are, being in ketosis. I can tell that I’m there, and then I’m just not hungry. I don’t know if anybody really notices. I’ll make a comment. I’ll not really eat much in the mornings during the weekend, and then by the time, one o’clock, two o’clock rolls around, I might make a comment, I am hungry, and everybody else … A lot of times on the weekends, the family just kind of snacks. It’s not really obvious, I guess, to them, that I haven’t eaten, other than when I make a comment about “oh I haven’t eaten since yesterday at five, I’m getting a little hungry. I’m going to make some food for us to eat.” Everybody’s like, okay. In the mornings, I get up before … I’m up and out the door to work before anybody here is awake. A lot of times at work, I’ll just be sipping my coffee or some water or whatever, and people aren’t really noticing too much. Leanne Vogel: It’s easier, yeah. Totally. Katie Williams: Yeah, makes it easier. Leanne Vogel: With this decision, you said in April 2016, you decided to do this keto thing, what kind of state of mind have you had to keep yourself in during this process? Because it can be quite challenging, you’re going up against a lot of different things. Kids need different things, and your husband needs a different thing, and you need a different thing. How have you stayed in a certain state of mind to be able to move forward? What has been your state of mind throughout this? Katie Williams: 2016, really when I reflect on it, has been pretty amazing. More so because I really struggled up until April, I would say, I struggled with emotional eating. If I had a good day, I deserved a treat when I got home or a glass of wine, or I had a bad day, I deserved a glass of wine or a treat. 2016 was actually a very stressful year. Actually, around the time I started keto, we started having some challenges. I live in an older home, and it seemed like everything was breaking, and they’re expensive, and my ex-husband lost his job, so we were having to go to court for that, and just one thing after another it seemed like throughout the entire year was really stressful. I’m really proud to say that I was able to really focus on what I was eating and eating better and feeling better and not just relying on exercising because I tend to be a little bit of an over exerciser. What kept me really on point was listening to the different podcasts, and listening to your podcasts, Leanne. I really just mentally feel great when I’m staying on track and just keeping focused on how happy that makes me feel to be eating well and also be listening to what the community is talking about and trying different things. It kind of became my little world of nutrition and I just am so passionate about it and love it, and it makes me feel good. I really have been proud that I’ve been able to stay focused on it despite a lot of really stressful things. January just continued to be extremely stressful, but I would say maybe one time, I was like you know, I wish I could just eat whatever I wanted to eat and feel good and just not have to worry about it anymore, but then I listened to the podcast. I read the emails. I read the newsletters. I was like no, I don’t want to go backwards. I want to keep going forward in this, and continue to reach toward my goals and feel really good, hopefully improve my memory. Really battle the fatigue and the hypoglycemia and keep my insulin in check because it is important. I don’t want to have problems in the future and I need to stay focused. I’m just focusing on that and not wanting to go backwards because I do really feel like I was fortunate enough to find the right path for me and what makes me feel good and I just don’t want to go backwards. Leanne Vogel: Yeah, that’s really important. I love that staying focused and being inspired by other people’s stories and it’s the same thing with anything, just really entrenching that belief into everything, and when you feel like you’re veering off, just listening to more things and getting yourself refocused. It sounds like you really have to put yourself as a priority. You’re a mom of four children. Leanne Vogel: It just blows my mind, not being a mother and having dogs. We’re at the vet every week with our dogs. I couldn’t even imagine four children. It’s a whole other level. The power and determination that it takes to put yourself as a priority and realize if you’re not healthy, and you’re not feeling your best, you can’t be there for your family, period. It takes a lot of courage to do what you’re doing and to put yourself as a priority every day. Kudos to you on that. That’s a huge, huge deal. What are your favorite podcasts? You have 75 of them, so there’s got to be some that stick out that maybe others should be listening to that are listening right now. Katie Williams: It’s kind of a mix between keto and paleo, most of it. Yours, Leanne, and 2 Keto Dudes. I like them. All of Jimmy Moore’s podcasts, the Livin’ La Vida Low Carb, now the low carb conversations that he’s transitioned to the other two health practitioners, and the fasting one with Dr. Fung. That one is interesting just because with the fasting, like I said, I have done the intermittent fasting, but it’s something new for me to think about. Also really enjoy the Paleo Women, and Balanced Bites podcast with Diane Sanfilippo. I also listen to Jillian Michaels. Sometimes I want to quit Jillian Michaels. Katie Williams: But for some reason, I keep going back. It depends on my mood of the day. I would say those are my highlights. Leanne Vogel: Yeah, that’s great, totally. I really like the Chalene Johnson podcast as well. Katie Williams: I am subscribed to those. I recently started a blog, actually, at the beginning of January, and I was listening to the Chalene Johnson ones just with the building a business and things like that. That’s my dream to eventually possibly go back to school and get some type of a nutrition degree. That is not my profession now, so that’s kind of a long-term dream. I do occasionally listen to that and also Diane Sanfilippo has a podcast, Build a Badass Business. She stopped a year ago, but I’m still trying to listen to the previous ones that she had recorded. Leanne Vogel: They’ve got a lot of meat in them. There’s a lot of stuff. Same with like Amy Porterfield. I can only listen to one of her podcasts a month because she gives so much information about business. There’s too much. I listen to one a month. I can’t keep up. That’s so good. I’m obsessed with podcasts. I always have them playing all the time. That’s good to know. I wrote down a couple that I hadn’t listened to. Thanks for that. My last question. The resources that you use, you mentioned that you didn’t have a lot of grocery stores and no Whole Foods or Trader Joe’s. You mentioned that you ordered stuff on Amazon. Are there certain other stores that you like to order from or different tools and tricks that you have for living in a place where there isn’t a lot of accessibility to keto foods? Katie Williams: Most of the time I do order through Amazon, but I have ordered through Thrive Market and probably need to do a better job of ordering through Thrive Market with the deep discounts. I have found that my local, it’s Kroger, and occasionally I’ll see something pop up on the shelf, and I’ll do a happy dance. I literally do a happy dance in the middle of the aisle. They recently started carrying Tessemae’s salad dressing, so excited. It was like two for four dollars or something, so I bought a whole bunch of them. I live in the Midwest. We have a lot of farmer’s markets. They’re just during May through September or October, but there is a new co-op store that’s being built right now in the town that I work, and it’s a co-op so I want to buy a share of that co-op because then you can be part of the decisions of what they carry in the store. But from what I understand, they’re primarily, they will be selling produce, and I think meat from all the local farmers. I’m pretty excited about that. That’s supposed to open in April. I’m planning on that being my primary source of groceries here in the near future. Leanne Vogel: Brilliant. That is awesome. Well thanks so much for coming on the show, Katie. You’ve shared some really great tips and tools for people, and I know that it’s going to be super helpful for a lot of people listening, and especially women trying to juggle their families or men trying to juggle family life. Yeah, thanks so, so much. Katie Williams: Thank you, Leanne. Leanne Vogel: The show notes and full transcript for today’s episode can be found at healthfulpursuit.com/podcast/e26, and the transcript is added to the post about three to five days following the initial air date of this episode, so enjoy that. That does it for another episode of The Keto Diet Podcast. Thanks for listening in. You can follow me on Instagram by searching Healthful Pursuit, where you’ll find daily keto eats and other fun things. Check out all of my keto supportive programs, bundles, guides, and other cool things over at healthfulpursuit.com/shop, and I’ll see you next Sunday. Bye.